“We are primarily in a war of ideas…between freedom and tyranny,” declared attorney and anti-Islamism activist Deborah Weiss on February 24 before an audience of about 20 at Washington, DC’s National Press Club. 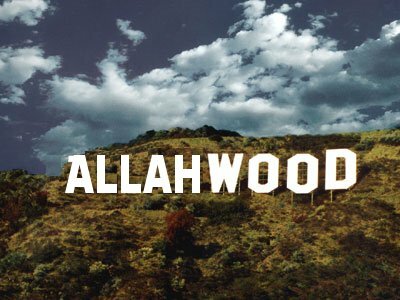 Focusing on Hollywood’s media industry as a key “agent for social change” and “information dominance,” Weiss and other panelists examined the dangerous sociopolitical influences of America’s past and present Marxist and Muslim enemies. Cliff Kincaid, president of event host America’s Survival, Inc., opened the panel by discussing “Hollywood’s anti-American bent,” often under leftist influences. This had a long tradition, historian Allan Ryskind later explained while discussing “serious Reds” in Hollywood who “were with Stalin in his prime killing years.” Kincaid elaborated that “America’s media and Hollywood are all for sale.” The 2012 Red Dawn remake, for example, presented North Koreans, not Chinese, invading America in order not to offend sensibilities in an important Chinese market. Similarly, lobbyists for the Gulf State Qatar blocked congressional investigation of the sale of Al Gore’s Current TV to Al Jazeera, a cable network based in Qatar that promotes that country’s support for the Muslim Brotherhood. Kincaid later observed during audience questioning that Fox News “basically apologized for no reason at all” after reporting on poor Muslim immigrant assimilation in often dangerous European “no-go” zones. He speculated about influence on the cable news network of Saudi prince Alwaleed bin Talal, an investor in Fox News’ News Corp parent company. Kincaid referenced the 2008 presidential election of “Comrade Obama, peace be upon him,” as an example of how cultural forces could shift politics leftward in what Marxist Frank Chapman described as a “dialectical leap.” Author Trevor Loudon extended this analysis to Congress, where he estimated that 60 members had Marxist ideological backgrounds, “treason going on right in the heart of your government.” Media and political failures allowed individuals like the “Muslim Marxist” Representative Andre Carson into the congressional intelligence committee while federal job seekers often underwent security investigation. The film Sum of All Fears, for example, substituted Muslim terrorists in a Tom Clancy novel involving nuclear weapons with Austrian neo-Nazis, meaning that the movie has “no sense at all,” Weiss observed. CAIR pressured the producers of the crusades film Kingdom of Heaven to hire an anti-American, anti-Israeli consultant and to give CAIR a prescreening. The resulting movie portrays Christians as “murderers and hypocrites and Muslims as morally superior.” Boycotts of CBS by CAIR’s New York chapter likewise brought the removal of references to Muslims from a terrorism documentary. The Fox’s award-winning hit 24 also drew CAIR’s ire, even though the action series did not feature Muslim terrorists until its fourth season following a 2001 premiere. CAIR’s criticism caused Fox to eliminate several story lines and air CAIR public service announcements with the theme “I am an American Muslim.” Fox also added disclaimers to 24 noting that the series was fiction and that terrorists come from all backgrounds. CAIR has no concern for media “reciprocity” with other maligned groups, such as Jews subjected to prevalent anti-Semitism in Muslim-majority countries, Weiss critiqued. CAIR wants to see “anybody and everybody except for Muslims” as terrorists in the media. Thus CAIR has no objections to award-winning films such as Paradise Now, a movie glorifying terrorism directed by an Israeli-born Arab. The same holds for Munich, a movie that equated Israeli counterterrorism with Arab terrorism, and Syriania, a movie blaming the United States for Islamic terrorism. Islamists are active not just in Hollywood, as Weiss showed with her discussion of billionaire Prince Talal. Talal once offered New York City $10 million in post-9/11 relief, but Mayor Rudy Giuliani returned Talal’s check after he criticized American support of Israel as a cause for AQ’s attacks. The next year Talal gave CAIR $500,000 in order to distribute Qurans banned from the Los Angeles school district for their anti-Semitic commentaries. Talal has also funded institutions like his namesake, Georgetown University’s Prince Alwaleed bin Talal Center for Muslim-Christian Understanding (“Muslim has to come first,” Weiss commented upon ACMCU’s non-alphabetic order). Talal’s money at Harvard University and other throughout academia “is spent to whitewash Islamic terrorism, to lie to the students about what sharia law is, and what Islamist goals are.” Talal reflects that “Saudi Arabia’s number one export” is terrorism-abetting strict Wahhabi Islam, upon which Saudi Arabia spent $70 billion in 1975-2002 alone. Such combined influences from mutually opposed Islamists and leftists indicated to Loudon that “mafia gangs will work together when it suits them.” Nazi dictator Adolf Hitler and his Soviet counterpart Josef Stalin, for example, once cooperated. Weiss mentioned bitterly divided Shiite and Sunni Muslims willing to unite in hate against America and Israel.